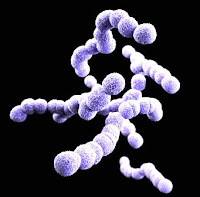 Group B Streptococcus (GBS) and I go back a long way. In the late 90s and early 2000s, I worked for several companies with ambitions to develop a GBS vaccine, only for hopes to be abandoned as an appreciation of the technical (and commercial) challenge sunk in. GBS vaccine development has been kept alive over the last couple of decades largely by academic investigators and the odd small-cap biopharma, so it’s good to see a company the size of Pfizer getting involved, albeit with development being subsidised by the Bill and Melinda Gates Foundation. GBS is a not uncommon resident of the guts and vaginas of healthy women, and is harmless until it turns up in the wrong place at the wrong time. Transmission of the bug to newborns can result in life-threatening, sometimes fatal, sepsis and meningitis. Microbiological screening, along with attention to risk factors such as preterm delivery and rupture of the protective amniotic membrane, can give a heads up as to the risk of delivering and infected infant and direct appropriate prophylactic antibiotic therapy. However, not every GBS case is prevented, even in well-resourced countries. GBS is well-adapted for evasion of the immune system. Spreading bacteria express a variety of virulence factors which help them to set up house and deflect the unwanted attention of patrolling white cells. One of these factors, “capsular polysaccharide” (CPS) naturally elicits a generally ineffectual antibody response and was first investigated as a possible vaccine candidate during the 1930s. The immunogenicity of CPS can be boosted by chemically linking it to tetanus toxoid or other proteins (a strategy that works for Haemophilus Type B, Neisseria meningitidis and Streptococcus pneumoniae vaccines). Investigational glycoconjugate vaccines have resulted in reduced GBS carriage rates in healthy volunteers but not to the extent necessary for useful vaccination. A small scale study conducted in pregnant women had no beneficial effect on outcome. Over the last 15 years or so, whole genome sequencing and recombinant DNA technology have allowed researchers to identify bacterial surface proteins that might potentially protect against infection from a variety of GBS strains. MinerVax, a small Danish biotech which receives funding from the EU “Neostrep” project, reported positive results in a Phase I study of an all-protein vaccine, with antibody responses in group of 240 healthy women elicited at all dosage levels. Pfizer’s candidate, which has just entered Phase I studies, is more old-school, being a conjugate vaccine designed to mimic multiple GBS serotypes. Any (potentially) preventable condition that causes infant death is rightly emotive, but harsh as it may seem, it’s not a certainty that GBS vaccination will actually prove to be universally cost-effective. Deployment may not make economic sense in countries where the incidence of GBS infection is low, but payback will hopefully prove substantial in countries such as South Africa, where the incidence of GBS infection is around five times higher than that of the UK. What’s more certain is that the technical challenge of effective GBS vaccination will be resolved well within the next 80 years.